So, parts. Why did I choose the 9600k? I primarily game, ESPECIALLY cs:go, which is a game that's hugely dependent on clock speeds. I personally had a debate between Ryzen for futureproofing, but I realized I'm seemingly unlikely to not have desire to build another system in a few years. In the summer I was considering buying a pre-built, and in a few short months I became a hopeless tech nerd. The mobo came in a combo with the CPU during the last week of October and has been very good so far (outside of the af small mishap with the ram). Personally, looks were a very big deal for me when it came to this build. If I was going to build a high end system, I wanted it to look the part. This almost entirely explains my choice of the PC-O11 Dynamic, which is a GORGEOUS case. In addition to the large glass panels, I get the privilege of putting my power supply in the rear and not having a shroud in the front of the case. This was a huge plus for me. Add in some HD120 fans and light strips, and I found myself a gorgeous system. Every time I'm not playing a game actively I just want to stare at my own work. Due to the case choice, a 360mm rad was a must (any other size rad looks silly in this case). I'm glad I did, as this system is doing 5.1 without even breaking a sweat. 55 max during gaming at 5.1 is pretty amazing, especially without any intake besides the radiator itself. The graphics card is the upper echelon of mid-range graphics cards right now, which is exactly what I wanted. I got it used, but it was almost new in packaging and runs like it's brand new as well. 3200Mhz Ram is probably more than this system needs, but it's pretty and I got it on sale so don't judge me. Once I see another sale on this RAM, I'm likely to buy 2 more and have a 32GB system. I do wish I had gotten an EX920 NVMe instead of the 900, especially considering the 920 went on sale for the same as I got the 900 for a week later, but I won't cry over it. I promise. Peripherals are a bit more interesting. A 32" 1440p 144hz monitor is a godsent, but it's a little weird because I often run it in 4:3 stretched. See, I play cs in 4:3 but I don't like minimizing to alt-tab and play in windowed borderless, but I can't do that on 16:9 native...yeah you see the point. I have display settings pinned on my bottom bar so I can change them back and forth. 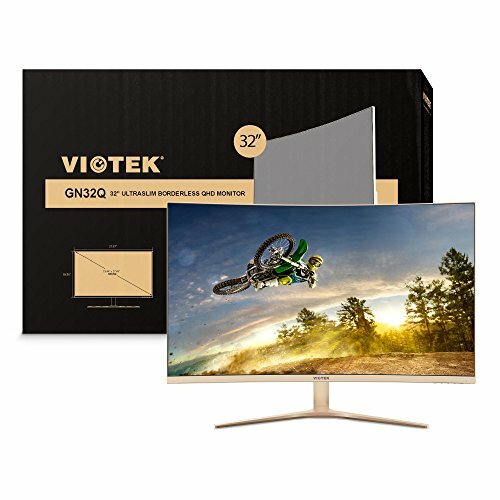 The 4k monitor was used, but super cheap. One of the main complaints was poor quality control, so buying used is a plus since I can check the quality control before I confirm the purchase. I do need to get a new stand, as the lower tiered stand is going to drive me nuts. 2 Different keyboards are connected. Weird, I know. Personally, I love blue switches for typing, but love red switches for gaming. The Patriot Viper v770 is a VERY underrated high-ish end keyboard. Most people don't like Kalih switches, but I actually prefer the newer ones to Cherry MX. 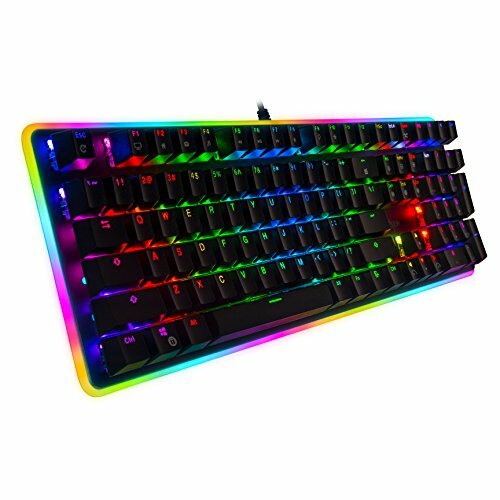 The Rosewill keyboard had been a desire for me ever since I saw it, and it is absolutely GORGEOUS and doesn't disappoint. The font on the keycaps is a little off-putting (still not as bad as corsair), but the feel is incredible. I have used the Corsair M65 Pro for months and really enjoyed it, the sniper button actually makes a perfect push-to-talk button in game. Finally, the Z623's ******* PUMP and I'm honestly scared to push them with my EQ for fear of people the next 3 houses over being able to hear the bass. Wish this was sarcastic. One thing to note with them; You need to turn the bass knob down for, say, watching youtube because otherwise small bass artifacts will overpower voices and sound you want to hear. This isn't a bad problem to have, however. If you're like me and you don't care for all the fancy bells and whistles on a cooler, this is a great buy. Using a 9600k, and driving it to 5.1 has been easy and nearly painless on the temps of the CPU. Assembly is a little weird, and make sure you put the bracket underneath the motherboard before screwing it in! Been a very good board for me so far, but with one hiccup; the manual was wrong on which dimm slots to use for dual-channel memory. The correct slots for me were B1 and B2. I loved building it and I love staring at it when I'm not doing anything! Not really honestly. Make sure you realize there's plastic on the inside of the glass, and it's under the bezel. I didn't even realize until I thought I had scratches on the inside of the glass until they folded out and I realized it was plastic. Be careful with the top screws. They're sometimes a little fidgety if your radiator screws aren't flush with the dust filter. In addition, you may need pliers or something of the like for some of the screws when you first get it. Some of the internal ones were damn near impossible for me to get out. Also, DO YOUR CABLE MANAGEMENT AS YOU GO. The PSU and drive bays being in the back make room a little weird if you have a lot of cables. I had to spend way too much time doing cable management in the rear afterwards. Most of the cables will end up very close together because of the shroud/drive bay, and while the cable management for the case is great, it can be a nightmare if you don't plan ahead. Nice build! Would suggest to use atleast one fan at the back panel of case for nice exhaust. Actually, the back panel doesn't fit a 120mm fan. All 6 HD120s are currently configured as exhaust (the pretty side is the direction the air goes away from), with the 3 static fans on the radiator as intake. 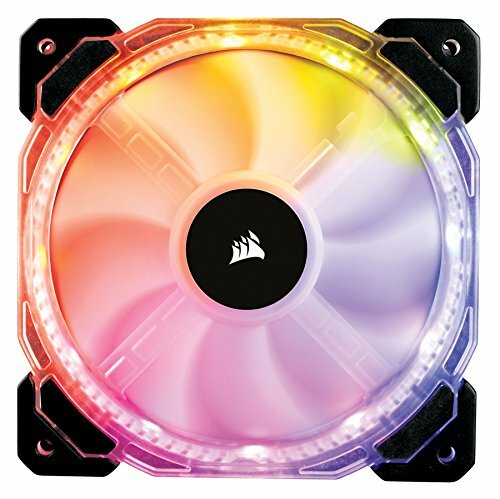 It's weird having more exhaust, but most PCs don't see an improvement with more than 3 fans as intake, and the fans were chosen just as much for looks as performance. Hello, thinking about getting this case myself. I saw one of you previous comments and just wanted to make sure I got this right. Both the side and bottom are exhaust and the rad is setup for intake? Also, is the temp picture you posted the values after playing games or under load? The temp picture is on prime95, which is shown to the right of the hwmonitor temps. I wouldn't recommend my air setup, which you have correct; mine is more for aesthetic than functionality. I believe the best air setup was 3 top intake, 3 bottom intake, and 3 side exhaust. There was a video on youtube where somebody tried all the different setups with 9 fans and figured out the best one, i believe that is the one. You would need to use 2 commander pros to get 9 corsair fans working. I only have 6 in this build, the top 3 fans are the static pressure fans that came with the thermaltake water 3.0 ultimate. Just curious how well the mobo OC's the 9600k? Im looking for the best value mobo currently. 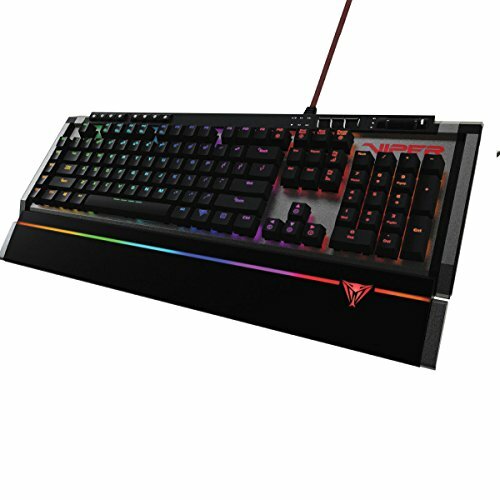 I keep hearing I need to get an expensive one, Any input? This MOBO got me to 5.1 GHz @ 1.35V, so I'd say it's done a really good job. Reading reviews, however, YMMV. I don't have much advice for you, but if you're looking for something on value, don't get the 9600k; get a ryzen 5 2600 and your money that you can spend will take you much further. I like the build and the overall aesthetics, but I noticed that your RAM modules are right next to each other, which would mean one of them is in the wrong slot (I can't tell which one from the pictures). I'm pretty sure I had a faulty mobo or a bad seat, because it doesn't post if any ram stick is on any A slot. I want to try putting two more modules in there and see if it will post, but that requires me to purchase new ones. I only see it with one part, which ones are you referring to? I didn't "skimp" on any of the parts, I made it a point not to. I got several of them on sale, hence the reasoning for getting them. 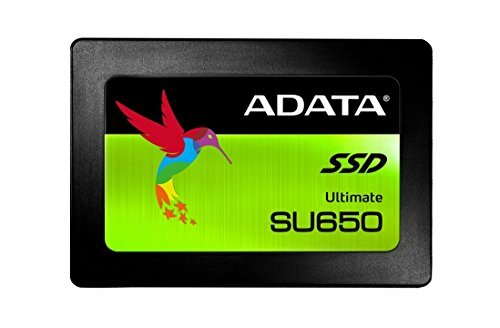 For gaming workloads, I don't need high-end NVMe or SSD drives. The cooler is a beast and was on sale. As for the rest, I didn't skimp on a single part. As if a 1070 ti is a beast. Ye but he can upgrade without needing to upgrade other parts. And the 1070 Ti is a great 1440p card. its not an RTX card or a 1080Ti but its pretty good, especially since the OP got it for $324! Its such a good price to performance card so I'm not sure what you're talking about. 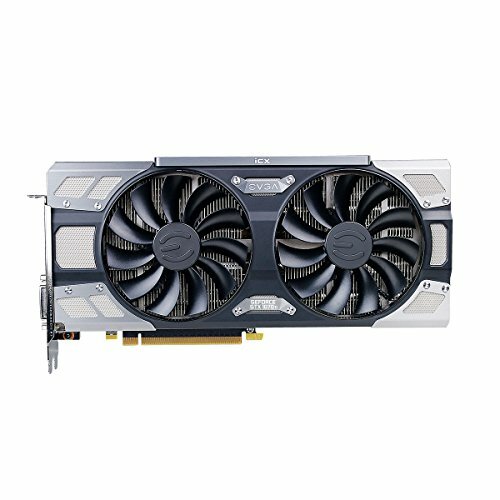 Getting a blower 1070 TI is hard at that price. exactly. I got the same card as you 2ish weeks ago for $380. I'm really happy with it and I hope it's running well for you!